Fears of a serial killer in Tampa have ended with the arrest of a 24-year-old man in connection with four fatal shootings. 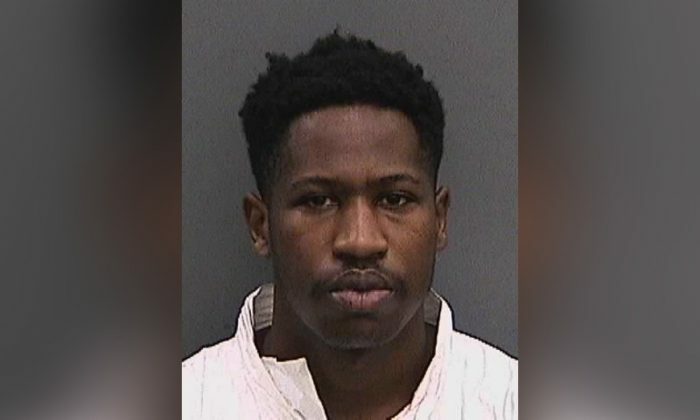 Howell Emanuel Donaldson III faces four counts of premeditated murder in the killings of Benjamin Edward Mitchell, Monica Caridad Hoffa, Anthony Naiboa, and Ronald Felton, according to Tampa police chief Brian Dugan. Donaldson was arrested Tuesday, Nov. 28 after a McDonald’s employee said he handed a gun to a manager. The manager then contacted a police officer who was also in the building, reported WTSP. Police have been searching for the killer of the four people who were all residents in the Seminole Heights neighborhood since Oct. 9. according to the news outlet. All the killings happened close to each other and weren’t robberies, police said, sparking fears they could have been carried out by a serial killer. Over the following month, three more people would be shot and killed: Monica Hoffa, 32, on Oct. 11; Anthony Naiboa, 20, on Oct. 19; and Ronald Felton, 60, on Nov. 14. Although Seminole Heights is only slowly becoming gentrified and petty crimes are fairly common, residents have said there has been nothing like this before, according to CBS News. Dugan said police are still determining Donaldson’s connection to the neighborhood. We have a small favor to ask of you. More people are reading The Epoch Times than ever, but ad revenues are plummeting across media websites. If you can, please share this article on Facebook so you can help The Epoch Times. It takes less than a minute. Thank you very much!